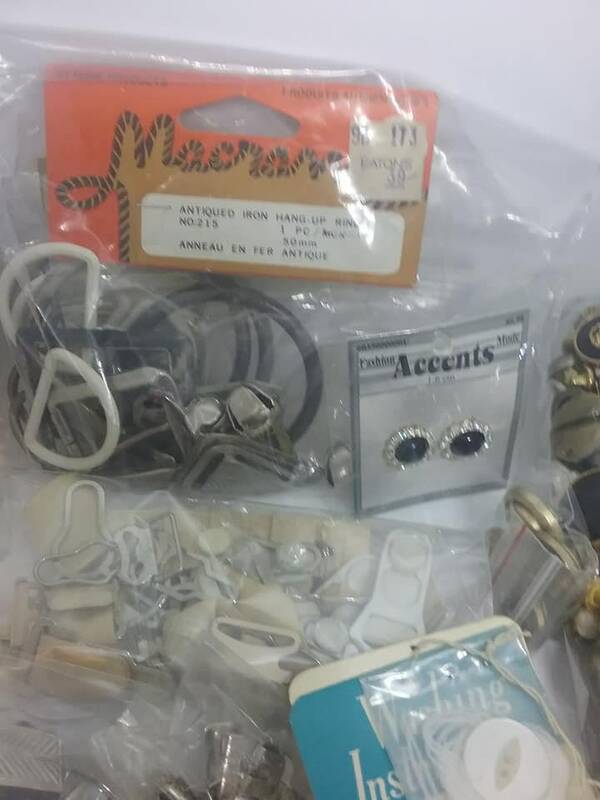 Vintage sewing notions lot. 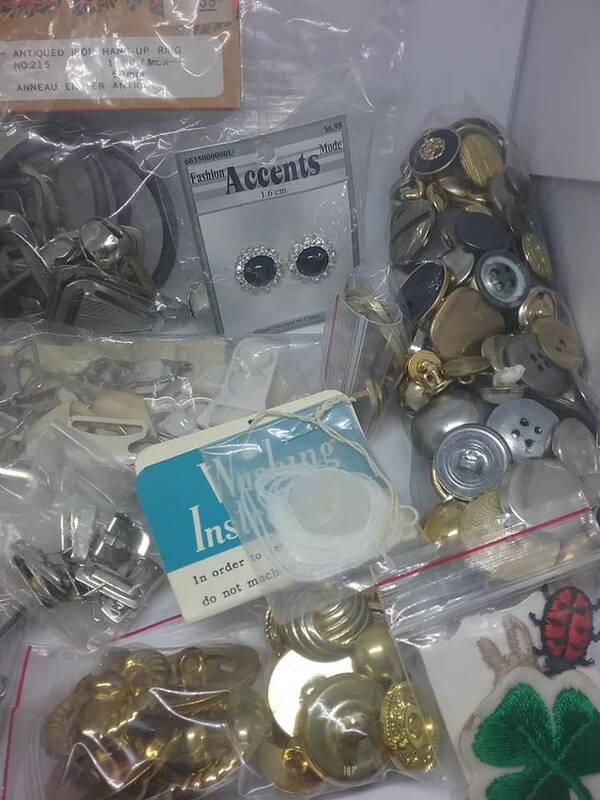 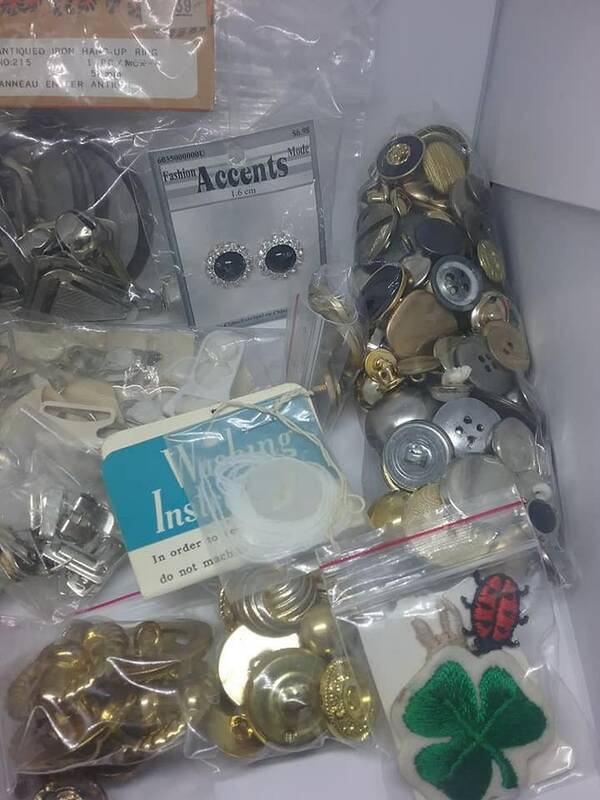 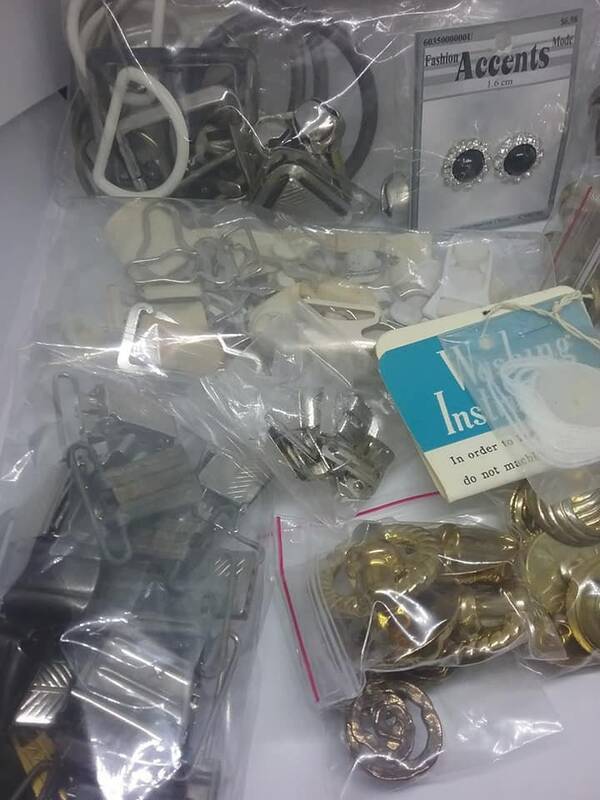 Buckles, buttons, hooks, clips, tabs, iron rings and other miscellaneous items. 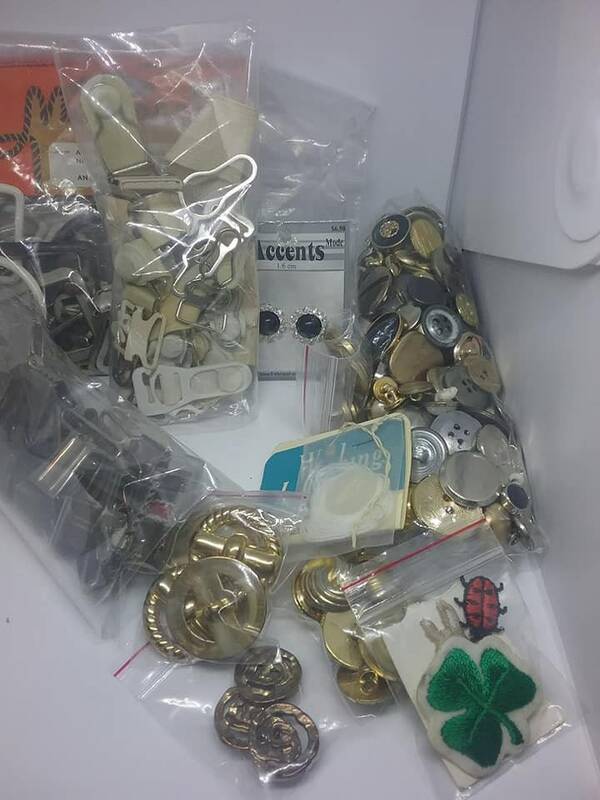 An excellent lot for the sewer, or crafter. 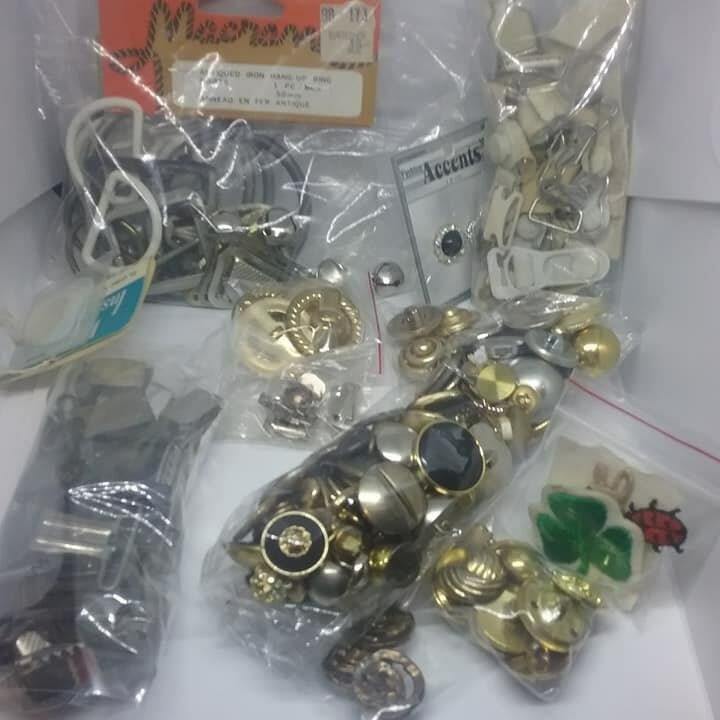 The buttons are mixed metals, style and colors. 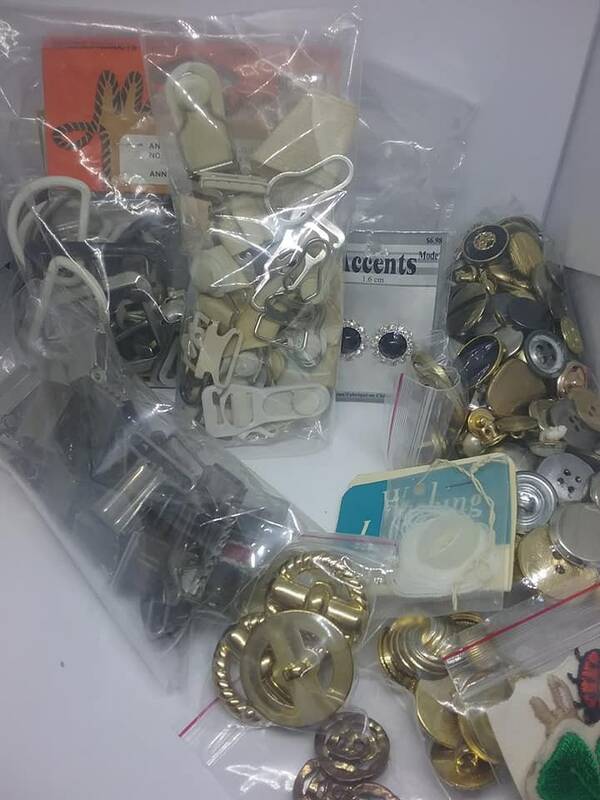 This is a great lot.